The veteran entertainer and TV presenter has passed away, 89. The veteran TV entertainer Sir Bruce Forsyth has died, aged 89, his family have confirmed. He had been ill for some time and had been in hospital with a chest infection earlier this year, the BBC reports. He is survived by his wife Lady Wilnelia Forsyth and his six children - daughters Debbie, Julie and Laura from his first marriage with Penny Calvert, Charlotte and Louisa with his second spouse Anthea Redfern and a son Jonathan with Wilnelia - as well as nine grandchildren and three great-grandchildren. Bruce's passing comes just two weeks after his close friend Jimmy Tarbuck admitted he is in a "very serious" state after two life-threatening aneurysms in 2015. Jimmy, 77, said: "He's okay but he's a bit frail. He's had an aneurysm. It's very serious." Forsyth is best known for presenting The Generation Game between 1971 and 1977, then 1990 and 1994 and Strictly Come Dancing between 2004 and 2013. His reoccurring health issues led to him quitting Strictly Come Dancing, which he presented for 10 years, in 2014 because he felt it was having an affect on him. Over a career that lasted 75 years, "Brucie" was also known for such classic game shows such as Play Your Cards Right, The Price Is Right, You Bet! and a stint on the classic 1950s and 60s variety show Sunday Night At The London Palladium. He was a singer, dancer, comedian, raconteur, presenter, quizmaster and even had the odd hit record. Forsyth became known for a parade of catchphrases, starting with "I'm In Charge!" (from the Beat The Clock segment of the Palladium show), "Nice To See You To See You... Nice" (from a TV Times ad and then The Generation Game), "Didn't They Do Well? ", "What Do Points Make? Prizes! ", up to "You're My Favourite" on Strictly Come Dancing. And, of course, "Keeeeeep dancing!" The television veteran started his career when he was just 14 years old when he launched his all-singing all-dancing act Boy Bruce, The Mighty Atom. He then decided to learn to dance and later travelled around the UK with pantomimes, before a performance with the comedian Dickie Henderson in 1958 led to him being offered a job on Sunday Night At The London Palladium. He continued to perform on stage throughout the 60s but it wasn't until 1971 when he bagged Bruce Forsyth And The Generation Game that he became a huge name. However, his career suffered a hit in 1978 when he left the BBC in 1978 to present a show on ITV which later turned out to be a huge flop. After being replaced on the Generation Game, things picked up again as he signed on to host ITV's Play Your Cards Right, You Bet! and The Price Is Right. In a statement, his manager Ian Wilson sad of the news: "It is with great sadness that the Forsyth family announce that Sir Bruce passed away this afternoon, peacefully at his home surrounded by his wife Wilnelia and all his children. "A couple of weeks ago, a friend visited him and asked him what he had been doing these last 18 months. With a twinkle in his eye, he responded 'I've been very, very busy... being ill!'" The entertainment world has already begun to pay tribute to the late star, with BBC's Strictly Come Dancing leading the tributes. 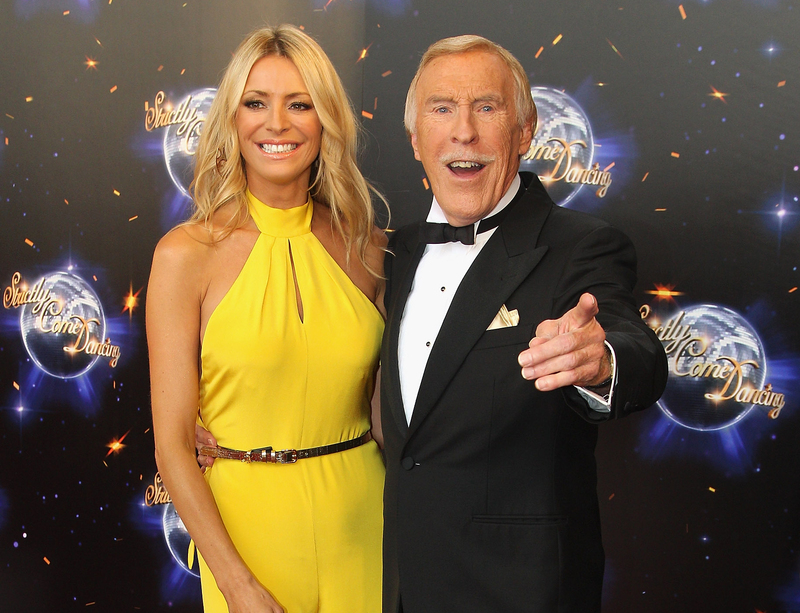 Co-host Tess Daly took to Twitter to share a heartfelt dedication, which included the words: "He was a gentleman and a true legend. I will miss him deeply." His former Strictly colleague Claudia Winkleman added: "The Bruce you saw really was the man he was. We'll miss him so much." The Bruce you saw really was the man he was. We'll miss him so much. Strictly professional dancer James Jordan shared his sadness at the news. RIP Sir Bruce Forsyth, 89. One of Britain's greatest ever entertainers & a lovely man. Devastating news that the Entertainment Legend Sir Bruce Forsyth has passed away. It's been an honour to be able to get to know him as a friend. And we will cherish the times we spent together... He defined Saturday Night telly and re wrote the book on TV Hosting...Will miss his energy and fun both in the studio and on the golf course. Thoughts are with Winnie and his family.